Almost as divisive as proper squat form, how to properly recovery breathe is highly debated. What’s our preference? We like the form pictured above - hands on knees and bent over. I know, I know - you’ve been told by many high school coaches and possibly some personal trainers to breathe with your hands over your heads because it “opens your lungs”. It turns out bending over is a much more efficient plan. Let’s start with the basics, your diaphragm is your primary muscle of respiration. It is located in the bottom part of the ribcage and attaches to the backside of your lower ribcage and the front of your lumbar (lower back) spine. It is a domed muscle that contracts and flattens when you inhale. The flattening of the muscle creates a vacuum in the thorax and pulls air into the lungs. The diaphragm then reflexively coils back into its domed shape which pushes air out of the thorax. We also have accessory respiratory muscles that should only be used when one is breathing hard like after a run or sprint. Some of these muscles are the pecs, upper traps, and sternocleidomastoids - basically the muscles of your chest, neck, and shoulders. They help to increase the circumference of the thorax and take in air more rapidly than the diaphragm can alone. By bending forward and anchoring your arms on your legs you’re placing many muscles in a position where they are better leveraged to work. You can now use your pecs to help lift and widen the ribcage, your abs to help expel air more fully, and you’ve opened up your upper back (known as the posterior mediastinum) for air to flow into more easily. Additionally, the forwardly bent position of the spine helps to keep the bottom of the ribcage more narrow. This assists the diaphragm in returning to it’s fully domed state with each breath. It also makes it much more difficulty to “belly breathe” - the air is essentially forced into the thoracic cage. When one stands up and places their hands over their heads, it significantly the actions above to occur. The pecs and shoulder muscles no longer have leverage to help move the ribcage; The neck muscles have to do the lion’s share. The abs are then moved into an elongated position and can no longer help to push air out of the thorax. As the abdomen is positionally opened, it becomes much easier to belly breathe and not get as much air into the lung tissue. It also disallows the diaphragm from fully returning to its domed position and less air is exchanged with each breath. Is Your Gym Routine Holding You Back? Finding some sort of physical fitness is essential in today’s culture of sedentary jobs and lifestyles. For many, the gym is their primary location for fitness. This can be due to weather restricting outside activities, convenience, comfort (working out is always more comfortable in a temperature controlled setting with easily accessible water), range of activities offered, etc. However, the gym can create an environment where your body actually develops problems, instead of maintaining optimal health. Aside from burning calories and improving our cardiovascular fitness and physical strength, fitness activities should help us become more aware of our bodies. As we are active, we should notice groups of muscles that are working hard, areas of tension or discomfort, how taxing each activity is, etc. It should be a time to connect with our bodies and learn about them. This will help us to determine areas of weakness or dysfunction, or track our progress and functional goals. However, the gym is set up for things to be easy and convenient. Cardio equipment is typically grouped near TVs with magainzes nearby. While this can make our time on machines go faster as you're not constantly watching the clock, it can have a negative impact on our bodies. First, diverting your concentration to a TV or magazine takes your consciousness completely away from the body. We no longer are able to perceive if our weight is staying more to one side than the other, if there is slight tension in our lower backs, or what muscle groups are actually working. This makes it easy for our bodies to use compensation patterns to complete the activity. These compensation patterns eventually lead to breakdown, pain, and/or dysfunction. Additionally, machines of any nature can also be problematic. They are designed to help place the user in a safe position and be sure the motion is happening around the correct axis (ie the knee extension machine makes sure that we are straightening at the knee and not the hip). This is helpful for someone new to fitness or is not very body-aware, but it becomes really easy for the machine to passively hold us upright. It is important that no matter if we’re doing a strength machine or cardio machine, be sure that you are “owning your body.” If you’re doing a simple bicep curl machine, don’t simply let your entire upper body rest upon the chest bar, use your own core musculature to hold yourself up in space and control unwanted motion at the core and shoulder, THEN perform your bicep curl. On the elliptical, use your abs to help rotate your ribcage as you articulate the handlebars and position your hip over your foot. Don’t simply “throw” your weight back and forth by sticking out your hip and/or leaning with your shoulders. Either way will cause the pedals to go down and calories to burn, but only one is truly beneficial for your body in a holistic manner. Lastly, don’t get stuck in a rut! If you’ve been doing the same machines, strengthening exercises, or routines for more than 2 weeks, you’re on your way to an overuse injury or muscular imbalance. Our bodies are very good at being efficient and it’s easy for them to go into auto-pilot when performing the same activities over and over. Switch it up! Try the machines in a different order, use a cardio machine you’ve never tried before, run the track instead of using a machine, take a class that’s new to you, etc. The more variability you introduce in your routine, the more your body will respond and the more balanced it will stay. If you’re worried about hurting yourself or using proper form, talk to your physical therapist or set up an appointment with a personal trainer. You’ve already done the hard work by getting to the gym consistently and putting in the time, now make sure you get the most out of it you can! What goes hand-in-hand with summer? Summer road trips! This can mean many hours in the car resulting in pretty significant pain. In order to help quell this, try to keep in mind the following helpful hints. A lot of these will be helpful for your daily commute too! 1) Keep your knees at hip height or higher as well as pointed straight ahead. Keeping your knees high helps to promote a rounded lower back. This can be adjusted by lowering your seat height (available in most cars) or by bringing your seat closer to the steering wheel. Keeping your knees pointed straight forward (versus letting your left leg roll out to the side and resting on the door) will help to keep your hips from rotating while in a poor position. This is especially important if you have hip/buttock/SI/sciatic/piriformis pain! 2) Reduce your lumbar support. In a PRI program, we want to allow the lumbar spine to get out of its overly-extended position and into a more neutral state. This means taking away the lumbar support in your car. Not everyone can do this cold-turkey. Some people need to reduce this slowly. Also, if you’re going to be driving for over an hour, know it’s ok to change your lumbar support as time goes on. The lumbar spine was not meant to be static for more than 20 minutes. Small changes to the lumbar support in your car seat effectively lets your lumbar spine change positions and stave off pain and stiffness. Just keep your lumbar support to a minimum and always return to the lowest amount you can tolerate when you are finished with your drive. That way you’re set up in the correct position when you next get in the car. 3) Change your headrest if needed. A lot of cars now come with an inclined headrest. This helps to reduce the amount of brain and neck trauma in a car accident, but can be irritating when driving. As the upper portion of the head rest comes forward, we will assume a forward head posture to keep our head from bumping against it. Ladies, we also do this when we wear our hair in a bun or ponytail so try to avoid these hairstyles when driving long distances. To fix this, some headrests can change the amount of inclination. For those that can’t, raise the headrest as much as possible. If this is really irritating to you, try calling your dealership to see if alternate headrests exist for your vehicle. DO NOT DRIVE WITHOUT A HEADREST! 4) Change the inclination of your back rest. Your seat back needs to be in whatever position necessarily to allow your back from your bra-line and below to be resting on the back of the seat. Everything above this should be away from it. If your seat is too reclined, you will not get curvature in your upper back and you will bring your head far forward in order to see the road in front of you as your upper back rests on the chair back. If you seat is too inclined, your entire spine will be straight. 5) Take breaks. Again, our bodies are not meant to be in any one position for more than 20-30 minutes at a time. You can change your lumbar support and buy yourself some time, but try to take frequent breaks where you can get out of the car and walk around. This lets you mobilize every muscle and joint instead of just your lumbar joints. 6) Look around. Obviously, you need to be safe while you drive and keep your eyes on the road, but staring at the car in front of you for hours at a time essentially puts the body and its muscles into “auto-pilot” (har har har). If you simply glance around with your eyes as you drive, it helps to keep your body and neurological system from locking into a particular pattern. It’s finally here- sandal season! Although this can be very exciting, it can aggravate your pain whether it’s new or old. One way to avoid this is to wear the best footwear possible, especially if you have lower back pain, hip pain, or pain in your legs or feet. 1) Choose a shoe that attaches to your foot. Try to avoid flip flops or other shoes that can easily fall off of your foot. This will cause you to move your foot different through space or use your toes to help keep the shoe on. This will cause more compensation patterns when you walk and create more pain. 2) Pick a flat. All heels make your weight move forward to your toes. When this happens, your shoulders will automatically lean back in order to resdistribute your weight and keep you from falling forward. This causes your lower back to excessively arch and your head to move forward which can aggravate ankle, lower back, neck, and shoulder pain as well as headaches. If you do have to choose a heel, pick the smallest one possible. 3) Choose stability. Grab your shoe at the heel and toe and try to bend it in half. A good shoe will bend at the ball of the foot and nowhere else. The more the sole bends, the less stability it has to offer your body. If your ballet flat can easily fold in half, you are essentially walking around in a sock, not a shoe. 4) Have support. Supporting and stabilizing your arch is essential for maintaining good mechanics and avoiding pain. Sure, having arch support is a good idea, it is not the end all be all. The arch rises and falls as a direct result of where the heel is in space. Therefore, picking a shoe with a good heel counter, or at least has the heel covered or encompassed in fabric will give you more arch support than a shoe with an open back. The more firm the heel counter is, the more support you have. If you have an open feel, try to find a shoe with a heel cup. This is a small indentation for the heel to sit in so that it has more support on the sides and cannot rock around as much. 5) Pick something comfortable. Even if your shoes passes all of the above tests, it won’t make a difference if the shoe itself is uncomfortable. Everyone will move their foot different to avoid putting pressure on painful areas of the foot like a blister or sore spot. Have more questions? Call us at 314-733-5000 or email Lesley@Integrate360pt.com or Nancy@Integrate360PT.com today! Written by Lesley Callaham, MPT, PRC May 7, 2018. Almost everyone who is in pain has tried some sort of soft and/or connective tissue mobilization to feel better. And for a large majority of those people, the result is the same. Typically, they’ll feel better for a short amount of time, but their original pain or tightness always returns. This can be quite frustrating and expensive as people have to consistently return to their chiropractor, physical therapist, and/or massage therapist to feel better even if it only lasts a short amount of time. Why is this the case? Soft tissues (ie muscles) and connective tissue (ie fasia) do not simply develop knots, trigger points, or limitations in mobility and range of motion for no reason. Typically, a person will move their body differently over time for a myriad of reasons ranging from injury, surgery, and even psychosocial issues such as a tall middle school-aged girl that develops a slouched posture in order to appear shorter. No matter the reason, when we begin to move slightly differently than how the body was designed, we develop compensation patterns. These patterns will always results in under-mobilized and over-mobilized areas of the body as well as under-active and over-active muscles. Essentially, the body loses its balance. Soft and connective tissue interventions help to restore the balance of our tissues, but they do not address the compensatory strategies that lead us to develop these issues in the first place. In fact, if the mechanics driving the dysfunction are not addressed, soft and connective tissue interventions can actually lead to more dyfunction down the road. So if you’re interested in fully healing your pain and getting rid of it for good, be sure that your healthcare provider or team of healthcare providers are addressing what’s driving the muscle tightness or fascial immobility. At Integrate 360 Physical Therapy, fixing the problem is always our goal. Of course, we have techniques and machinery that will help us to relax muscles or decrease pain, but the heart of our rehab program is always correcting the mechanics. Additionally, we look at the entire human body to identify and treat any area that is not functioning properly, not just around the area of pain. Set up your evaluation today and truly heal your body by calling us at 314-733-5000 or email lesley@integrate360pt.com or nancy@integrate360pt.com today! Cervical traction is so popular these days, it’s practically mandatory when going to a physical therapist or chiropractor for neck pain or disc issues. Spinal and orthopedic surgeons even recommend it if their patient is not appropriate for spinal surgery. Most people with musculoskeletal dysfunction affecting the neck will present with a “straight neck” or “reversed curve” when looked at on an x-ray. The cervical spine should have a slight lordosis, or curved inward/arched/extended position, when appropriately aligned. Because of the shape of our vertebral bodies (the individual bones making up our spinal column) in the area, this curvature allows for the least amount of disc compression and the largest spaces in the foramina (holes in the columns) through which our nerves leave the spinal column. When we lose this natural lordosis or even reverse it, our discs and nerves are compressed. Therefore, at first glance, it makes perfect sense to decompress the neck using a cervical traction unit. However, our bodies are not that simple. Whether the patient using a machine in a clinic or an over-the-door device in their homes, the idea is have the device pull the patient’s head straight up or slightly forward and up. This does decompress the spine some, but it pulls it out of its natural lordosis. This reinforces bad pastural habits, does not fully decompress the target area, and is temporary in nature. Not only that, but the over-the-door units typically have a strap that covers the chin. This compresses the jaw joint and can complicate, or even create, TMJ dysfunction! In order to restore a natural lordosis (and correct poor spinal alignment which decompresses the neck, its discs and nerves) we must take the ribcage and thoracic spine (midback) into account. If the supporting structures of the neck are in the wrong position and/or too rigid, the neck must compensate by changing its position and/or moving too much. Postural Restoration Institute physical therapy is unique in its approach in that we treat the cervical spine by treating the ribcage. How do we do this? By promoting diaphragmatic breathing! When the diaphragm is utilized as intended, the ribcage is mobilized and normal thoracic kyphosis (rounded position of the spine) is preserved. It also reduces compensatory breathing patterns that overutilize the neck muscles. This promotes natural restoration of the cervical curve, reduces cervical muscle tone, and reduces compression of the neck’s structures. All without the inconvenience, expense, and discomfort that come along with a cervical traction unit. Ready to get rid of yours? Call us today at 314-733-5000. We are the only PRI certified clinic in the greater St. Louis region. All of our therapists are certified. Want a Better Core? Try Crawling. The next time you’re around a crawling baby, watch them closely. Babies develop core muscle strength before learning how to manage their arms and legs (ie, they can sit up erect before they learn to crawl or walk). When crawling, they use their abdominal muscles to pull up one side of their pelvis (you can see this by the wrinkles they get on the sides of their trunk. These wrinkles develop over muscle groups that are in use). This causes their leg to advance forward and move their knee ahead of the other. The muscles of their hips and shoulders engage primarily to stabilize the joint, not move their appendages forward through space. Therefore, a baby’s crawling pattern is almost exclusively a core activity. As we age, we lose core control for many reasons. 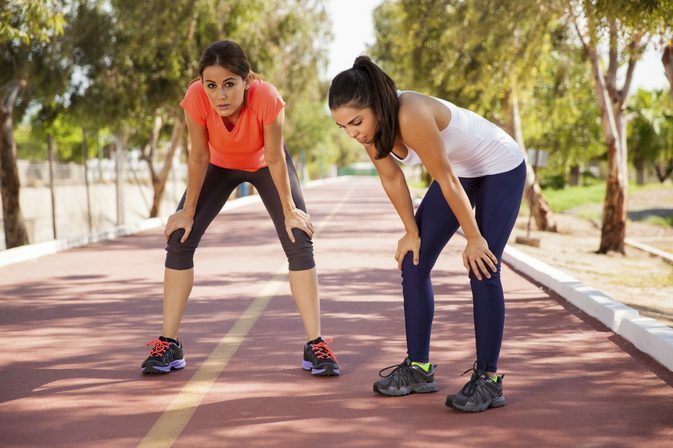 If needed we can still crawl, but we use the muscles of our shoulders and the front of our hips to move our appendages forward. This effectively makes our appendages our primary movers which carries our core along for the ride - a pattern opposite that of a baby. Crawling is becoming more popular in rehabilitation and fitness settings to strengthen the core. PRI emphasizes this movement in order to activate the transverse abdominis and internal obliques on one side of the body. At the same time we must manage an opposite arm and leg moving forward, while the other two continue to support our body weight. This is essentially what happens during gait - the abdominals and leg muscles must be active as our right leg and left arm move forward through space. In addition, we have to do the exact opposite during our next step! Although this may seem like a simple task, it’s quite complicated and difficult to perform correctly. When we are not able to manage our bodies the way a baby would, we develop compensation patterns and pain. If you try crawling and cannot feel your core activating, your body is at risk for copmensation, pain, and/or injury. Call us today at 314-733-5000 and let us teach you how to appropriately use your core and avoid dysfunction! Short Of Breath? Your Posture May Be To Blame. Do you notice that you get out of breath quickly while going up stairs or on a walk? Sure, many disease processes (such as asthma or COPD) may be to blame, but your posture may be a significant factor. In fact, if you do not have a diagnosis of any respiratory diseases, your posture is likely the cause of this problem. Our diaphragm is located in the center of our ribcage and attaches on the back of our lower ribs as well as to the front of our lower spine. In order for it to work correctly, it needs to start in a domed position. It then flattens and moves lower in our ribcage in order to pull air into our lungs. When we breathe out, the diaphragm should passively return to its domed position. When the range of motion of the diaphragm is maximized, so is the amount of air we move with each breath. However, there are many things that can upset this pattern. Stress, abdominal surgeries, respiratory diseases, sinus congestion, or even bad education as to how to “diaphragmatically breathe” will cause us to compensate when we try to breathe in. No matter the reason, when our breathing is challenged or our fight or flight nervous system is activated, we will compensate in a few ways: 1) We use our lower back extensors to essentially lean our shoulders back. This allows the front of our ribcage to open up and expand. 2) We use the muscles of our shoulders and front of our necks to pull the ribcage up and back, again opening the front of our ribcage. 3) A combination of the previous two. When we lean our ribcage back through these compensatory breathing strategies, our abdominals cannot work effectively. Our lower ribs will then externally rotate and flare out. The bottom of our ribcage then becomes wider which stretches our diaphragm. When the diaphragm is stretched, it is unable to return to it’s domed state. Because the range of motion the diaphragm goes through at each breath is lessened, so is the amount of air that we move with each breath. Less air exchange means less oxygen coming into the body and less carbon dioxide leaving the body. This causes us to feel short of breath with even simple physical tasks.